Reading comprehension is an essential skill that you’d need for the GED Language Arts test. The hard part about tests that involve reading comprehension is it does not depend on facts you memorize, but purely on intelligence and logic. Comprehension skill is the ability to understand exactly what another person is telling you in writing or through spoken language. Reading comprehension is more difficult than verbal comprehension because when you don’t understand what someone is saying, you can ask him to repeat or clarify what he said. When reading a text, however, the author is often not there and you can’t ask them what they meant. There are ways to improve your comprehension skills fast, which can help you pass your GED Language Arts test and other subjects. After all, math, science, and social studies require a certain degree of reading comprehension, too. 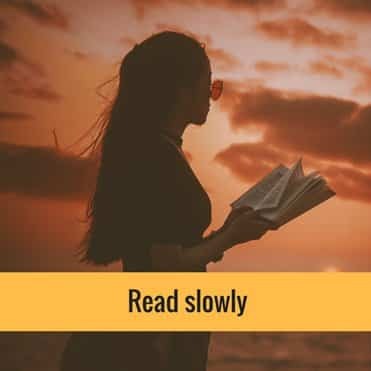 Many people read too fast for their own good. Being a fast reader is good only if you also understand what you are reading. If you don’t, and then your reading is useless. Remember, reading is about learning ideas, not just identifying words. Try reading a book aloud and recording your voice, then play it back and listen to yourself. Do you understand what your recorded voice is saying? If you don’t, then read the text slower this time, record it and listen to it again. Do this until you find the reading speed wherein you can comprehend yourself. Sometimes the reason you may not understand a sentence is that there are words that you are not familiar with. Most meticulous readers open their dictionaries to understand a new word, but most people just let it pass, limiting their understanding of the text. 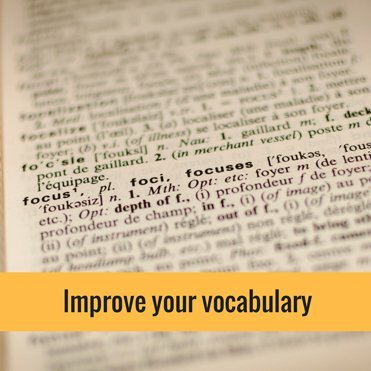 You can improve your vocabulary by having a dictionary nearby when you read a book and using it to check the meaning of unfamiliar words. You can also understand meanings of words using context clues, but we will come to that later. The reason why English has a strict grammar is precise to aid understanding. One of the reasons many people are confused when reading a book is because they can’t identify what part of speech a particular word is and how it relates to other words in the sentence. 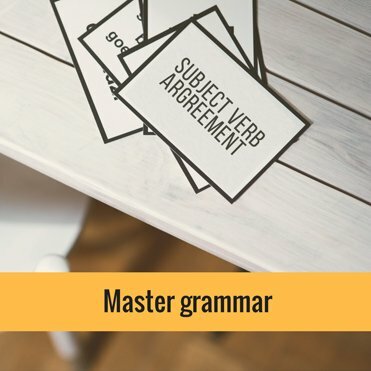 Improving your grammar will improve your comprehension skills automatically. Wearing sunglasses is important if you want to protect your eyes from the harmful UV rays from the sun. UV rays are radiation coming from the sun that will damage your eyes, leading to eye defects. Not all sunglasses have UV ray protection though so when you go out to buy one, be sure to check for the UV protection logo on the lens itself. In the above paragraph, the main idea is that you have to wear sunglasses. The rest of the paragraphs are just there to explain why you need to wear sunglasses and clarification about the sunglasses you have to buy. 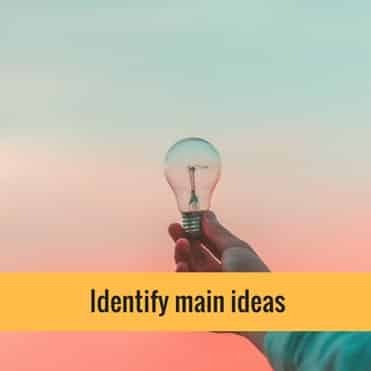 Most of the time, the main idea is in the first two sentences of the paragraph, but sometimes it is placed somewhere else. Summarizing what you read helps you measure how much of the text you were reading you understood. If you have a hard time making the summary, then you probably did not comprehend the text very well and you have to read it again. 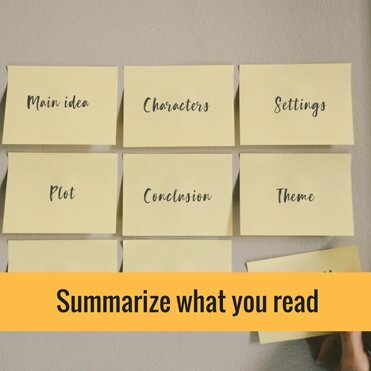 Summarizing allows you to organize what you have just learned from the text. 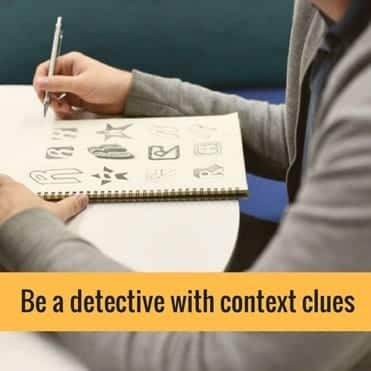 Be a detective with context clues. Two months ago, John got involved in a vehicular accident and broke a bone in his right leg. After the surgery to repair his broken bone, John could not walk and had to use a wheelchair wherever he went. Thankfully, now his is ambulatory again and does not need the wheelchair anymore. What does ambulatory mean? The context clue here is that he does not need the wheelchair anymore. Ambulatory means he can walk again. There will be context clues in most of the text you read, so you need to pay attention to these details. Finally, the most important way to improve your comprehension skill is reading. Read a wide variety of materials. 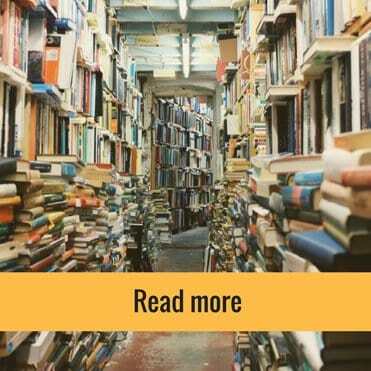 People who read a lot understand better because every time they read, they are training their brain to comprehend what the author of the text is saying. So read and read a lot and improve your power of comprehension. Remember that comprehension is not only useful for tests like the GED, but for every aspect of your life.